For more than a decade, Ian Smith served as Rhodesia's Prime Minister during the era of white minority rule. Following his death in 2007, he is still a man with the ability to excite powerful emotions. To some he is a leader whose formidable integrity led him into head-to-head confrontation with the Labor government of Britain in the 1960s. To others he is a demon best known for stating "I don't believe in black majority rule ever, not in a thousand years," for staunchly opposing Britain's insistence that majority rule be implemented before the nation’s independence, and for imprisoning the leadership of the newly emerged black nationalist movement. 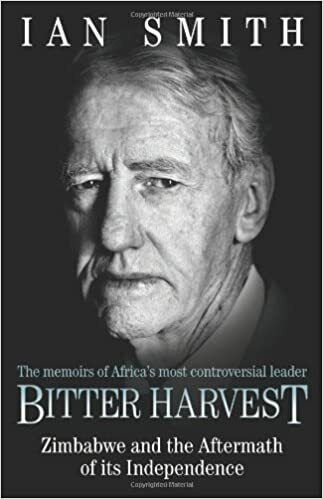 In this revealing autobiography, Smith tells his own side of the story and reveals how he sought to keep Rhodesia on a path to full democracy during the West's decolonization of Africa. He tells the remarkable story behind the signing of the country’s Unilateral Declaration of Independence and addresses the excesses of power that the current president, Robert Mugabe, has used to create the virtual dictatorship which exists in Zimbabwe today. This is a revealing and prescient historical document from a controversial figure charting the rise and fall of a once-great nation. Parliament had not crossed my mind. The Liberal Party, however, were not to be put off: I was a local boy with a respectable record at school, university, and in the war. Moreover, my family’s record of dedicated service to the community and beyond was really outstanding.They spoke to my father, who simply advised them against trying any circuitous routes, as I was one of those people who made up my own mind, and they obtained an undertaking from him that he would not attempt to discourage me.